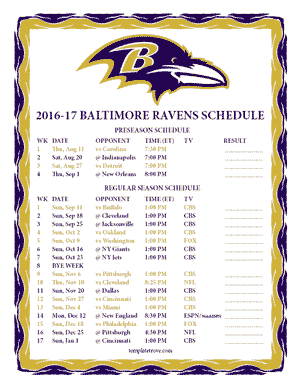 The Ravens had a regular season record of 5-11 in 2015 and did not make the playoffs. They were last in the playoffs in 2014 and were Super Bowl winners in 2012 and 2000. Baltimore's AFC North rivals include the Cincinnati Bengals, Cleveland Browns and the Pittsburgh Steelers. 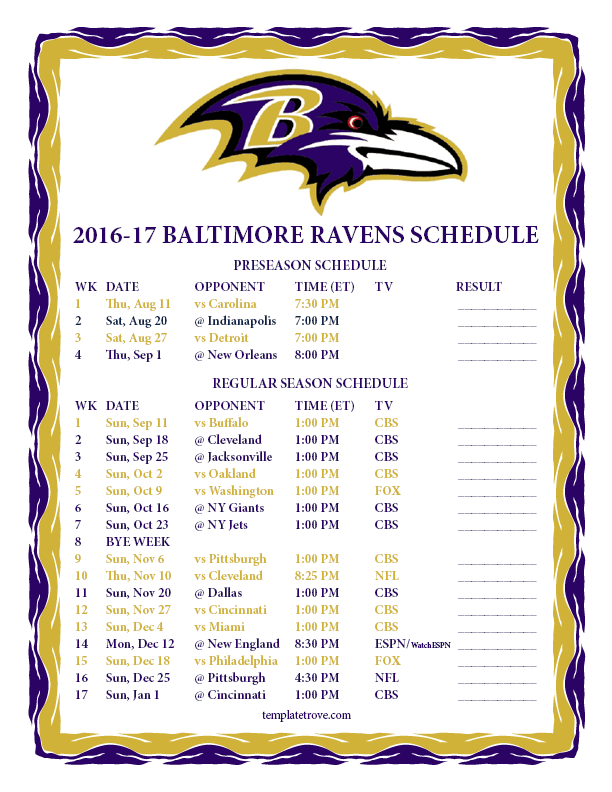 Primetime games for the Ravens inlcude a week 14 Monday Night Football game at the New England Patriots and a week 10 Thursday night game at home verses Cleveland.